As much as 310 megawatts (MW) of new solar power capacity is to be installed in Bangladesh beginning this year on out to January 31, 2024 thanks to a USD185 million financing package from the World Bank. The USD185 million credit also includes a USD26.38 million loan and a USD2.87 million grant from the World Bank’s Climate Investment Funds’ Strategic Climate Fund. , World Bank Team Leader for the Scaling-up Renewable Energy Project, told Solar Magazine. In addition, feasibility studies for wind power and waste-to-energy will also be undertaken, Väyrynen said in an interview. Realizing SREP’s 310-MW objective would nearly double Bangladesh’s grid-connected renewable energy capacity and help meet Bangladesh’s growing demand for electricity cost-effectively. Furthermore, it would go a long way towards Bangladesh realizing its Nationally Determined Contribution (NDC) to the U.N. Paris Climate Agreement, which calls for 1,000 MW of solar power generation capacity to be installed across the country by 2030, Väyrynen highlighted. “Renewable energy has allowed many countries diversify their electricity generation mix and lower the overall cost of generation,” Väyrynen told Solar Magazine. Expensive and polluting diesel and heavy fuel oil power generation will be displaced as a result of SREP development, benefiting the economy and human and environmental health and quality of life, he added. “Furthermore, through its demonstration effect, provision of financing and market development activities, the project will expand the market and enable further investment in renewable energy, making an important contribution to the country’s climate change mitigation efforts,” he said. No specific cost target for SREP has been set, but the project is expected to drive down the cost of solar PV technology in Bangladesh by establishing competitive tenders and scaling up investment. “Significant cost reduction using these strategies has been achieved in many other countries, and Bangladesh can benefit from similar approaches,” Väyrynen explained. Furthermore, Väyrynen highlighted that the cost of electricity produced from utility-scale SREP solar PV is expected to be considerably lower than that for diesel and heavy fuel oil-based power generation. The expected cost of electricity produced by rooftop solar PV is lower than grid power tariffs for daytime industrial electricity, which would lower electricity costs for industry, commerce and others in Bangladesh, thereby stimulating economic development and job creation, according to Väyrynen. A 50-MW solar energy park in the Feni district of southeastern Bangladesh’s Chittagong province will be the first project to be developed via SREP. To be built on a “challenging, flood-prone site” by SREP partner the Electricity Generating Company of Bangladesh (EGCB), a project tender is being prepared, according to Väyrynen. Renewable energy accounts for just 1.5 percent of grid capacity in Bangladesh at present, but the significant potential to scale that up exists, Väyrynen pointed out. The project will help provide better access to cleaner electricity, as well as air by avoiding burning fossil fuels. It will help cut emissions by 377,000 tons of carbon dioxide equivalent a year. In addition, the Infrastructure Development Corp. Ltd., the second of three Bangladeshi agencies involved in SREP, has already identified a pipeline of rooftop solar PV projects for prospective financing. Typically under 1 MW each, they would be financed with support from SREP’s Renewable Energy Financing Facility (REFF), which IDCOL is responsible for developing and managing. IDCOL has plans to aggregate rooftop solar PV so as to increase its value to the utility grid. In addition, a small-scale waste-to-energy project is being planned, Väyrynen said. In addition to taking on responsibility for the REFF for both rooftop and utility-scale solar PV, IDCOL will be in charge of SREP public outreach, promotion and business model development activities. Bangladesh’s Sustainable and Renewable Energy Development Authority (SREDA) will provide technical assistance, including resource assessment, site identification and development, promotion of the net-metering policy, capacity building and training activities, and overseeing development of the waste-to-energy pilot, Väyrynen explained. “The three agencies will work with both public and private sector stakeholders, including other government agencies, project developers, sponsors, financiers, energy end-users and local communities. The World Bank will work closely with all three implementing agencies throughout the project cycle,” he said. 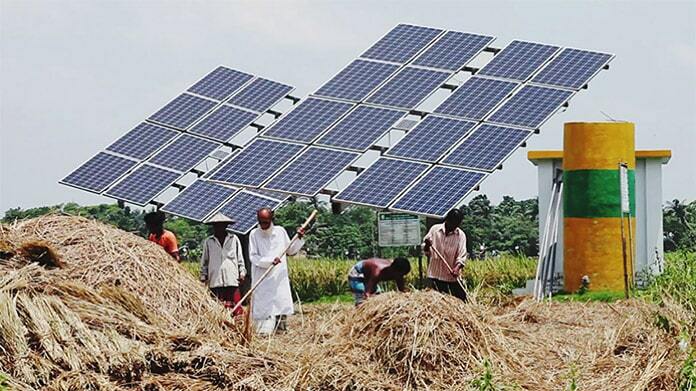 , the author of The Marketmakers: Solar for the Hinterland of Bangladesh, told Solar Magazine. 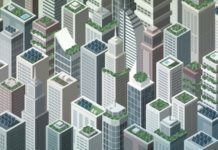 Lack of energy is a major issue for the burgeoning middle class in the cities, for the rural population — only around 40–45 percent of which has access to the grid — and for the government to sustain its economic growth of circa 7 percent per annum. Smart, off-grid solar-plus-storage systems are proving to be a potent, vital means of providing sustainable energy access to people living in rural and remote areas of emerging and under-developed countries around the world. 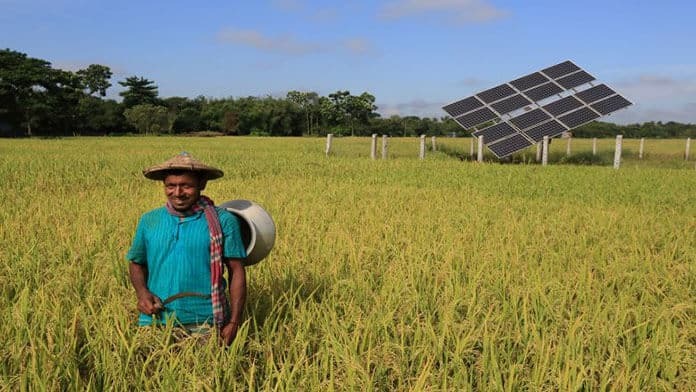 More than 4 million solar home systems have been installed in the hinterland of Bangladesh, some 18 million villagers or one-quarter of the rural population, Wimmer highlighted. “This market grew explosively for a decade — 50 rural enterprises were installing up to 65,000 SHS a month [at one point],” she noted. The World Bank provided credit to the Bangladeshi Government to implement a program for solar home systems in the hinterland. The government-owned financial intermediary, IDCOL, implemented the solar program with funding and technical assistance for local enterprises. These enterprises — mostly microfinance institutions (MFIs) — provided customer financing and doorstep service via their extensive networks to village customers. “Grid electricity is notoriously unreliable [in Bangladesh],” Wimmer pointed out. “Solar is reliable and in the beginning sufficient for what villagers could pay for and needed most: light, TV, mobile phone charging. Now villagers increasingly want power for electric appliances, fans, refrigeration for household use and small businesses for computers, etc. That’s the advantage of creating a market for solar power yet unequaled in the developing world,” she said. IDCOL in association with partner organizations has installed some 180 MW-peak of off-grid, solar home systems’ capacity in villages and rural areas of Bangladesh with the help of financing and other resources provided by the World Bank’s Rural Electrification and Renewable Energy Development (RERED) project, Väyrynen highlighted. In addition to providing access to solar home systems, RERED has expanded to support the installation of 867 solar irrigation pumps, 20 solar mini-grids and other renewable energy options, as well as installation of 1.65 million cleaner, more efficient cook-stoves. “The World Bank has been the leading development partner supporting Bangladesh’s action plans to provide energy access to all its citizens,” Väyrynen added. “Since 2009, the World Bank’s Rural Electrification and Renewable Energy Development (RERED) project helped Bangladesh provide access to electricity to 6.84 million households, farmers and businesses in rural and remote areas through solar home systems where grid-electricity could not easily reach ,” he highlighted. 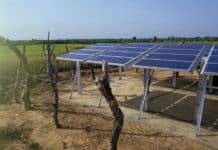 All told, the RERED project is providing clean, reliable solar electricity to 20 million rural people — some 12 percent of Bangladesh’s rural population — who did not have access to electricity before, according to Väyrynen. Circling back to SREP, project partners need to surmount several challenges to see the project through to fruition. The need for more experience and capacity regarding solar and renewable energy project implementation experience figures prominently among them. The lack of a deep market for financing and land constraints, number among others, Väyrynen explained. “SREP will help address these challenges through both the provision of financing and a range of technical assistance activities implemented by IDCOL and SREDA. This will be complemented by the World Bank’s extensive worldwide experience in development of renewable energy,” he said. SREP will yield multiple benefits for Bangladeshis, Väyrynen continued. “It will help the country provide reliable and affordable energy to its people, industry and businesses. By improving access to reliable electricity, the project will contribute to boosting economic activity and creating jobs. It will also help create new market opportunities for local business, project developers and financiers in both rooftop and utility-scale solar PV,” he said. People at large in Bangladesh, due to better quality of electricity supply and cleaner air. Furthermore, in parallel to developing the 50-MW Feni solar power project, EGCB will provide livelihood training and direct employment opportunities to the local community, Väyrynen noted. It also intends to implement an economic development project, such as a fishery, in the project area.